Heineken is promoting the “Dropped In” online video series with “The Voyage”. Dropped is Heineken’s most daring experiment to date, showing what consumers are truly made of when taken out of their daily lives and dropped into the great unknown. Real-life Man of the World candidates from different markets will be tested in adventurous environments designed to take them out of their comfort zones. The first Dropped story features a sun-loving Spaniard dropped in the middle of freezing Alaska with nothing but the clothes on his back. Subsequent drops will commence every three weeks for five epic journeys â all of which will be housed on Heineken’s Dropped YouTube channel. 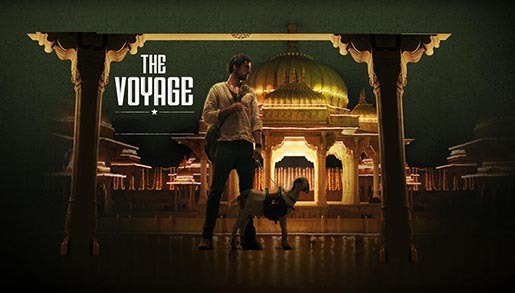 Set in colorful India, the “Voyage” film follows the Legend arriving in a remote outpost where he finds himself in all sorts of awkward and bizarre situations when he loses his pet goat. But as a true Man of the World he knows how to navigate his new surroundings with ease, even if he finds himself in unfamiliar territory. The Voyage campaign was developed at Wieden+Kennedy, Amsterdam, by executive creative directors Eric Quennoy and Mark Bernath, art director Philip Brink, copywriter Hugo van Woerden, agency producer Tony Stearns, head of production Erik Verheijen, post producer Niko Koot, planner Stuart Parkinson, group account director Clay Mills, account director Jasmina Krnjetin, account manager Thibaud Vincent-Genod, project manager Sharon Kwiatkowski, business affairs director Barrie Williams, working with Heineken global brand director Cyril Charzat, global communications director Sandrine Huijgen, global communications manager Sarah Nisenbaum. Filming was shot by director Fredrik Bond via Sonny London with director of photography Mattias Montero, producer Alicia Richards and executive producer Helen Kenny. Editor was Tim Thornton Allan at Marshall Street. Post production was done at The Mill, London, by Flame artist Jay Bandlish, 3D artist David Lawson, colorist Adam Scott and producer Paul Schleicher. Audio post production was done at Grand Central Studios by sound designer/mixer Raja Sehgal. Music is “Voyage Voyage”, composed by Rivat/Dubois performed by Maison du Malheur. Print production was by photographer Hugo Stenson.